Oklahoma City Thunder point guard Russell Westbrook underwent his third surgery of the calendar year on Friday, an arthroscopic procedure that will leave him out until after the All-Star break two months from now. The blow comes on the heels of Westbrook’s meniscus tear from the first round of the playoffs last April, and the subsequent clean up surgery he underwent in October. Westbrook returned surprisingly early to the Thunder just three games into the season, and after some initial struggles the explosive guard began to play excellent, All-NBA level ball for Oklahoma City. Scarily, meniscus tears are oftentimes more frightening than ACL tears, in spite of the relatively short recovery time. While an ACL tear may keep a player out for up to a year, and a meniscus tear results in half as long to return from, a compromised repaired meniscus can often lead to perpetual swelling and knee pain, sometimes resulting a career-altering microfracture surgery. While an ACL tear can often result in a cut and dry return to action after an extended period of time, meniscus tears can lead to operation after operation as the player in question experiences continuing discomfort – as we’ve seen with Westbrook’s two post-tear surgeries. 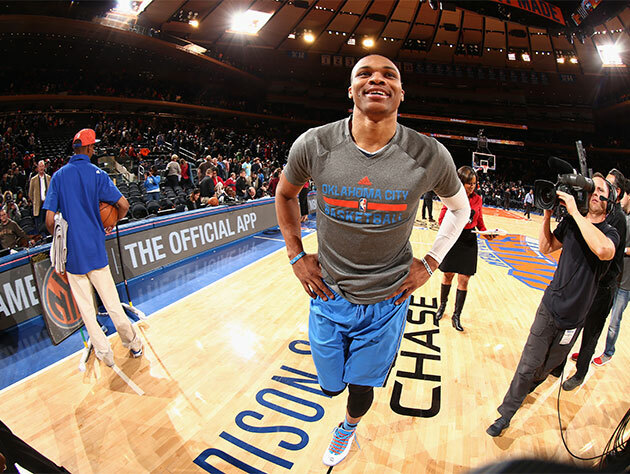 Russell was averaging 21 points and nearly 15 combined assists/rebounds in the month of December for the white hot Thunder. Oklahoma City did well to run out to a hot start behind Westbrook during his active run, notching a 23-5 record that is tied for the second-best in the NBA, and reserve point guard Reggie Jackson has enjoyed a remarkable turnaround in his third season, averaging 18 points and a combined 10.4 rebounds/assists for every 36 minutes he plays. He's no Russell Westbrook, though. And Jackson's backup Derek Fisher is hardly a Reggie Jackson-type of contributor at this point. The Thunder should be able to circle the wagons between now and late February, but this is a worrying turn for both player and team alike.